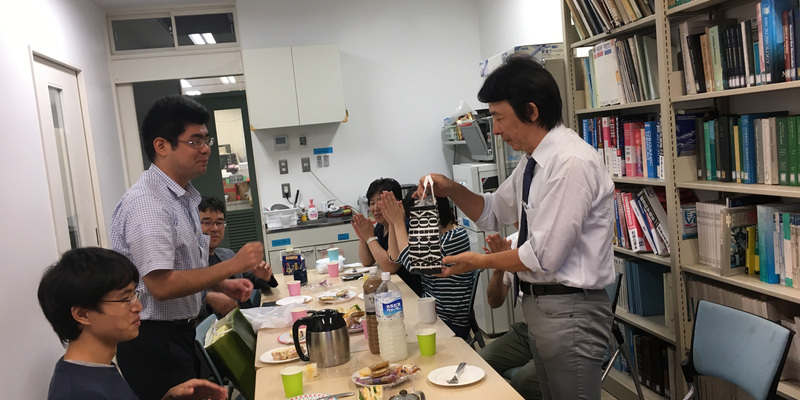 We held farewell party for Mr. Katayama and Mr. Kishinami on Sep. 12th. 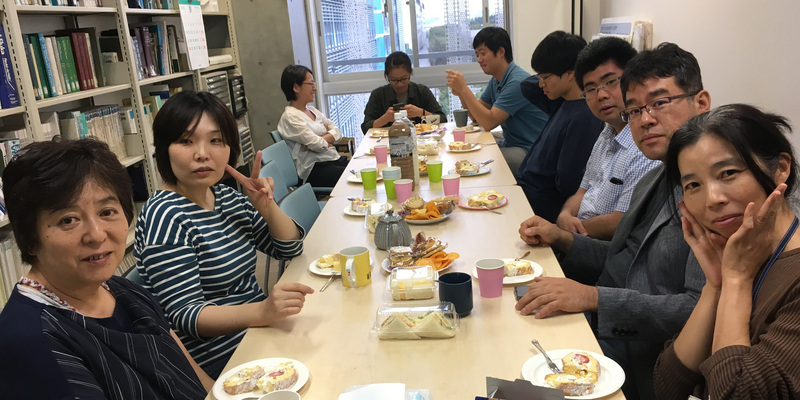 We had so much fun talking about many topics. Finally Mr. Kishinami gave us some presents with all his gratitude, and we also presented them “Hakuhomaru T-shirts” as rememory of AORI. 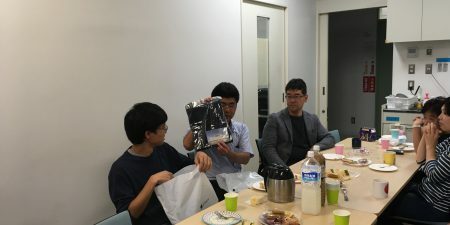 We hope they will be successful in their next stage.